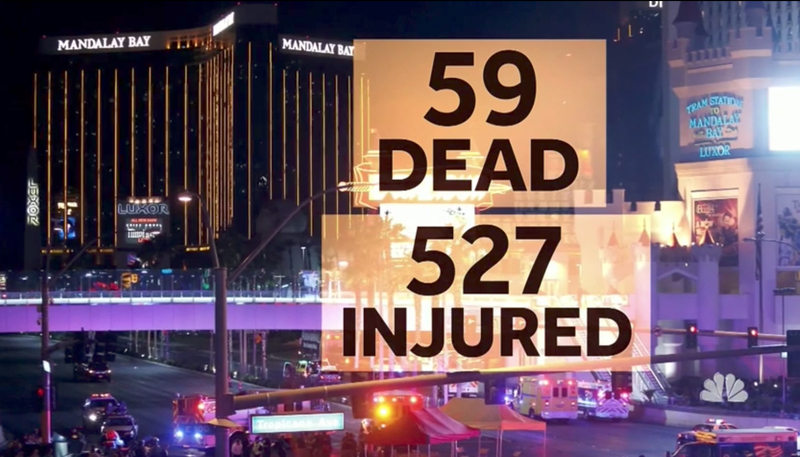 NBC, CBS and ABC all sent their primary anchors to Las Vegas in wake of the shooting during a country music festival offering up extended coverage of the massacre, which was also covered Tuesday morning. 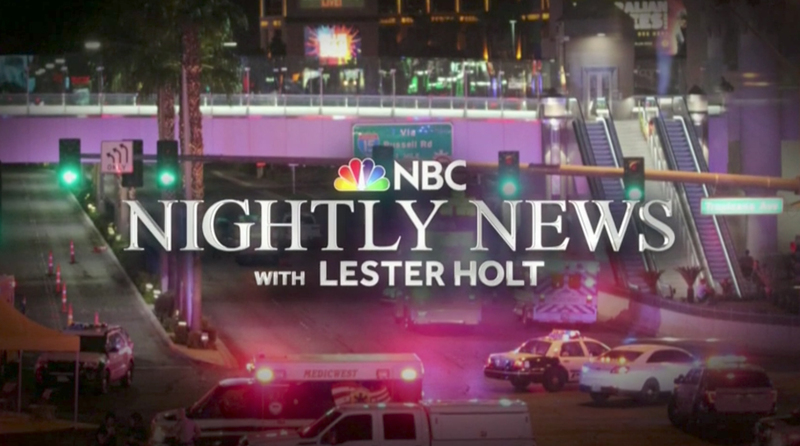 Instead of “Deadly Las Vegas Shooting” used earlier in the day on “Today,” “NBC Nightly News” switched to using the name “Las Vegas Mass Shooting.” During its teases for Monday night’s broadcast, a version similar to the design used by “Today” appeared in the lower left corner next to its normal banners. The graphic, however, did not use the floating design “Today” used Monday and Tuesday, instead using faded edges. 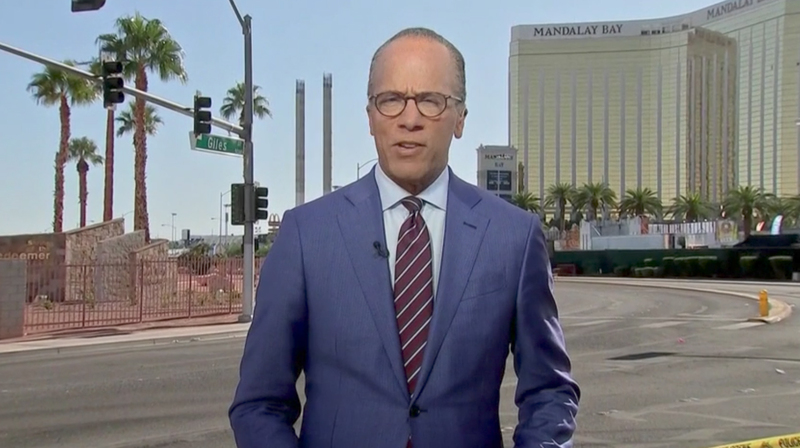 The announcer then introduced the broadcast as a special edition and anchor Lester Holt positioned on ground level with the Mandalay Bay hotel behind him, began the broadcast. 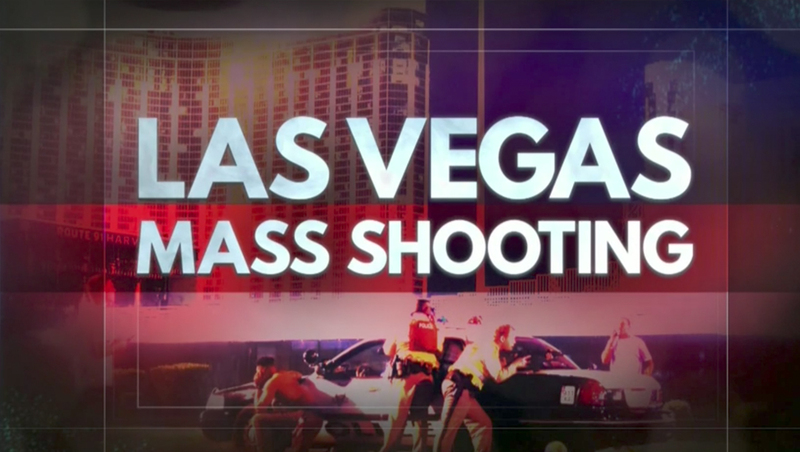 The broadcast used the deep blues, violets and reds reflecting the glaring emergency lights seen in so many imagery from the scene as its primary color scheme, along with backgrounds featuring photography and video from Las Vegas, including for the shooter’s mugshot and for reporting the death toll and injury count. 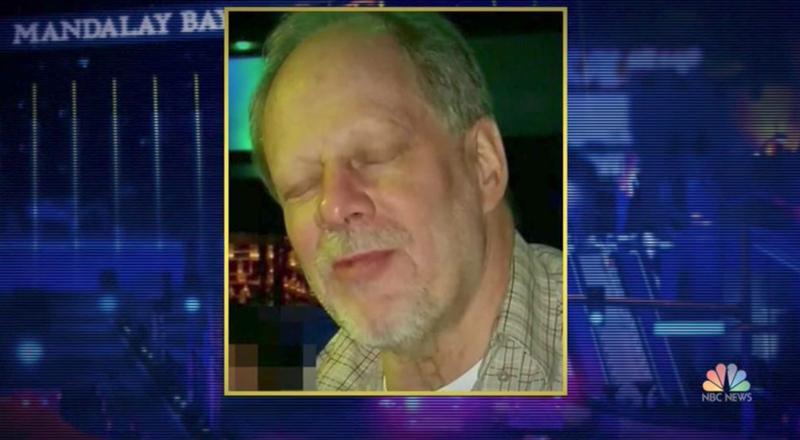 NBC’s setup in Las Vegas also allow for correspondent debriefings, including one from Joe Fryer, who, along with an NBC News crew, happened to be staying at the Mandalay Bay when the shooting took place.